Choose market-leading quality with the Alitherm 800 window profile, an incredible aluminium flush casement window that offers you a number of features and benefits. Embrace high security, thermal efficiency and style with Sternfenster and contact us today. These Smart flush casement windows are crafted from the finest aluminium polyamide materials, suitable for all manner of home improvement projects. These fantastic Document L compliant flush frames make for a fantastic addition to any property. This state of the art profile can be customised in a number of ways in order to meet your exact aesthetic requirements. Match your new double glazing to your home with metallic and dual colours or textured/anodised finishes. Aluminium flush casement windows are incredibly adept at maintaining not only its structural integrity but also its high quality. Specially weather-proofed and designed to last for decades to come, a simple wipe down will leave it good as new. Alitherm 800 frames are an incredibly thermally efficient flush casement window. They are sustainably built and designed to reduce your energy consumption. With a Window Energy ‘A’ Rating and low U-Values you’ll soon notice a reduction in your energy bills. We understand the importance of security when it comes to windows and doors, which is why we use the Alitherm 800 profile. This highly secure product combines complex locking mechanics with a sturdy profile for optimum security. Aluminium flush casement windows are crafted from the finest aluminium polyamide materials, suitable for all manner of home improvement projects. These fantastic Document L compliant products make for a fantastic addition to any property. This state of the art profile can be customised in a number of ways in order to match your exact aesthetic requirements. Match your new double glazing to your home with metallic and dual colours or textured/anodised finishes. The Alitherm 800 profile is incredibly adept at maintaining not only its structural integrity but also its high quality. Specially weather-proofed and designed to last for decades to come, a simple wipe down will leave it good as new. Aluminium flush casement windows are an incredibly thermally efficient product, sustainably built and designed to reduce your energy consumption. With a Window Energy ‘A’ Rating and low U-Values you’ll soon notice a reduction in your energy bills. This fantastic product is a marvel of modern engineering, and a testament to the capabilities of contemporary manufacturers such as Sternfenster. 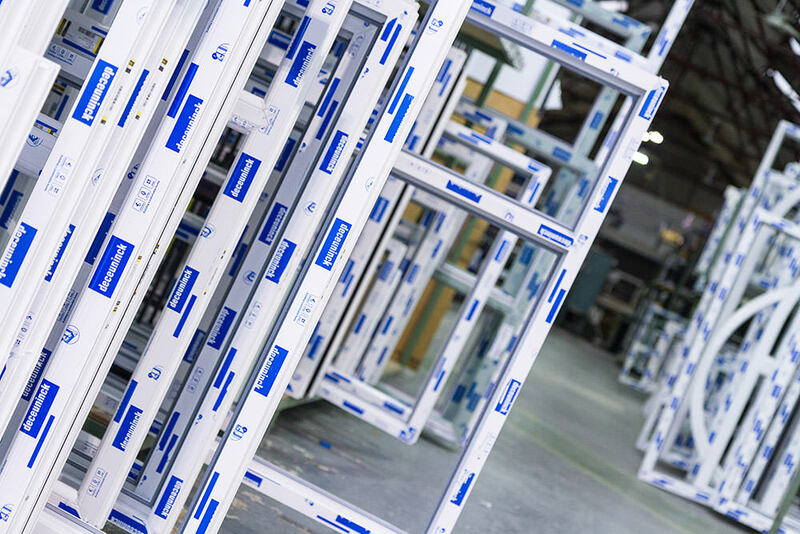 We manufacture our aluminium profiles to the recommended dimensions, with glazing between 24mm and 28mm with the introduction of triple glazing being a further possibility. The frame depth of 70mm fits nicely with this, and can be custom-made to fit both modern and traditional properties. 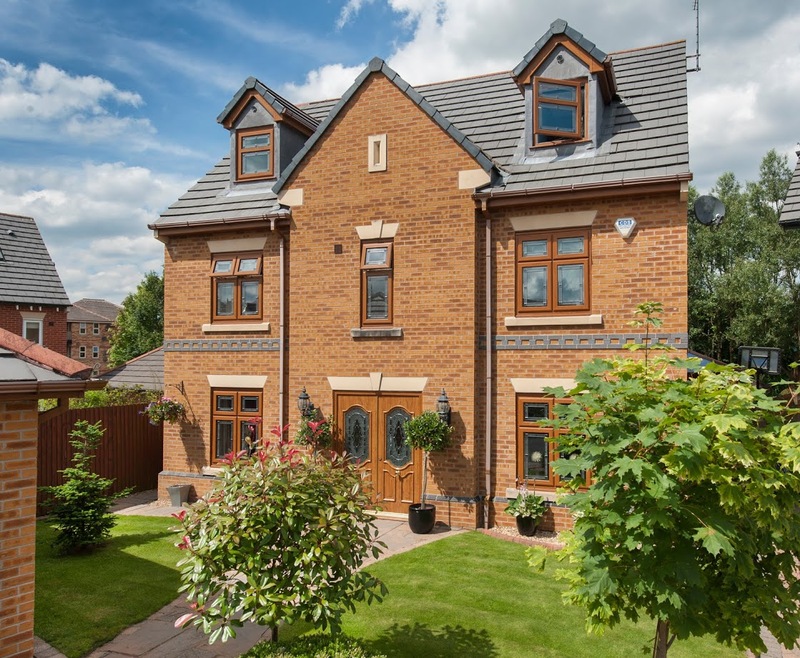 Able to emulate the classic elegance of timber and also the contemporary style of uPVC, the Alitherm 800 profile is a great choice for any homeowner thanks to the sheer versatility allowed by its design. This high quality doesn’t require you to bust the bank however. All of our products are affordably priced with the customer in mind. We want to share the superiority of present-day double glazing with as many customers as possible across the UK. Get in touch with us today and we’ll help you to find the right installation team for you. The Alitherm 800 profile is perfect for all general light use applications, designed to last you for years to come and to protect you and your property from intrusion attempts and the elements themselves. Intricate locking mechanisms and a powerful aluminium polyamide profile work together to result in a PAS 24:2012 tested product. Similarly, the damaging environmental effects that come as a part of the ageing process are a thing of the past with the these flush casement windows. With Class E 1050Pa water resistance and class A5 2000Pa wind resistance, your product will maintain structural integrity and a stylish design for many years. The result is an officially Kitemarked profile. The polyamide thermal break technology present within these flush casement profiles is also one of their major selling points. Offering maximum energy efficiency, this product can reduce the amount of heat that escapes from your home, resulting in a BFRC Window Energy ‘A’ Rating, as well as U-Values lower than 1.5w/m²K when properly utilised. Aluminium flush casement windows are perfect for all general light use applications, designed to last you for years to come and to protect you and your property from intrusion attempts and the elements themselves. Intricate locking mechanism and a powerful aluminium polyamide profile work together to result in a PAS 24:2012 tested product. Similarly, the damaging environmental effects that come as a part of the ageing process are a thing of the past with these aluminium window frames. With Class E 1050Pa water resistance and class A5 2000Pa wind resistance, your product will maintain structural integrity and a stylish design for many years. The result is an officially Kitemarked profile. The polyamide thermal break technology present within the Alitherm 800 profile is also one of its major selling points. Offering maximum energy efficiency, this product can reduce the amount of heat that escapes from your home, resulting in a BFRC Window Energy ‘A’ Rating, as well as U-Values lower than 1.5w/m²K when properly utilised. One of the biggest selling points of the Alitherm 800 profile is the sleek framing. The sash sits flush with the frame to deliver a stylish finish, without making the window look chunky. Our flush casement windows will provide your home with enhanced visual appeal. All aluminium casement window frames are available in a broad array of different configurations for your home, with the heightened visuals of the flush frame. As a result, you’re able to build an aluminium window which is tailored to your tastes. The slim aluminium frames that we use from extruders Smart also allows more of the surface area of the window to contain high grade double glazing. Not only will this improve your home’s overall aesthetics, but it will make it brighter and more welcoming on the inside. One of the biggest selling points of the Alitherm 800 profile is the sleek framing. The sash sits flush with the frame to deliver a stylish finish, without making the window look chunky. Our flush casement windows will provide your customers’ homes with enhanced visual appeal. These aluminium casement window frames are available in a broad array of different configurations, with the heightened visuals of the innovative flush frame. As a result, you’re able to offer entirely unique flush windows to your customers. The slim aluminium frames that we use from extruders Smart also allows more of the surface area of the window to contain high grade double glazing. This can help make homes brighter, as well as more welcoming on the inside. We proudly offer a huge range of RAL colours for you to customise your new double glazing with. We also offer a KL colour spectrum for further diversity in choice, as well as wood finishing and dual colour options where required. Capable of reaching U Values under 1.5w/m²K when used with relevant sealed units. ‘A’ grade thermally efficient product as per the Window Energy Rating scaling system. Extended, chambered polyamide thermal break protects your home from draughts. Compliant with British Standard Kitemarked systems KM 81580 and KM 81543. Tested to PAS 24:2012 security requirements for security and structural strength. If you think that our aluminium flush casement windows sounds like the perfect fit for your home improvement project, then get in touch with our specialist teams today. One of our support agents would be more than happy to discuss your home improvement project with you and to answer any questions you may have about our products. To reach one of our specialists immediately feel free to give us a call on 01522 51 25 25. You can also contact us by filling out our online contact form. This will submit a written request to our teams that monitor this channel, and we’ll get back to you as soon as possible. You can also locate your nearest installers by heading over to this section of our site.